Product prices and availability are accurate as of 2019-04-04 20:38:29 EDT and are subject to change. Any price and availability information displayed on http://www.amazon.com/ at the time of purchase will apply to the purchase of this product. 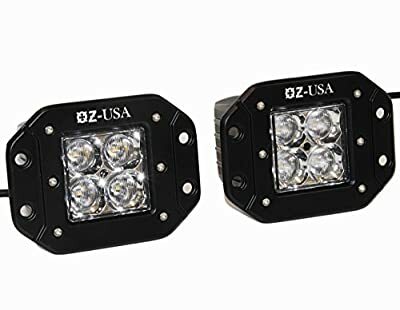 One pair (2) super bright, heavy duty, LED lights for your vehicle. Flush mount, all hardware included, connectors included. Flood beam with 3d reflectors. Perfect for trucks, race / offroad applications, motorcycles, RV, utv atv, Designed for extreme conditions. Heavy duty metal housing is 100% water and weather and proof (IP67). Extremely bright even in daylight. Ultra bright 1620 lumen each will light up everything you need to see. 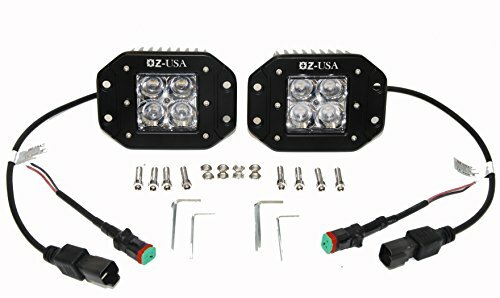 This pair is 3-4 times stronger than most stock headlights, but only uses 20 watts each. Comes with 1 year warranty. Mounting hardware is included. Dimensions: Face plate: 3. 75"x 4. 75" Housing: 3"x3"x3" (7.5x7.5x7.5cm. ) Voltage: 12-30 DC . Bulbs: 4x 5watt LEDLIFE Time LED: over 50,000 hours. Extremely bright, not DOT approved.. 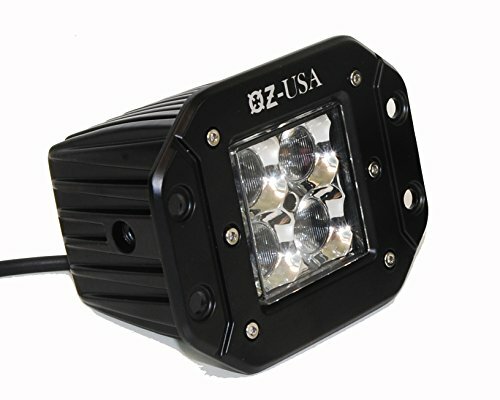 Manufactured in China to OZ-USA®'s high end specifications. USA Shipping (California), USA Warranty: 1 year. Extremely bright, not DOT approved, offroad use only.